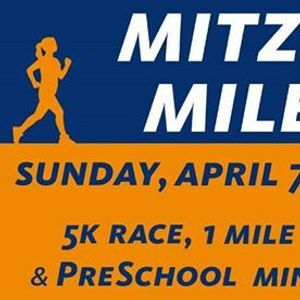 Mitzvah Miles is a family event which includes a 5K Race, 1 Mile Family Walk, and PreSchool Mini-Miles. PreSchool Mini-Miles features games and activities led by Coach Jen. The post-race party includes a moon bounce, breakfast, and activities for kids of all ages. 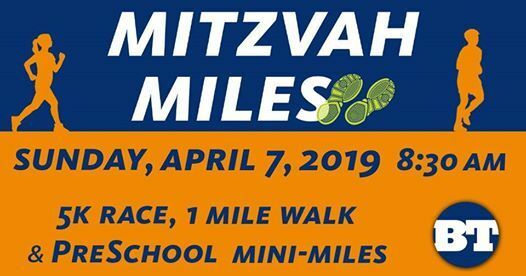 All proceeds benefit Yad B’Yad, Beth Tfiloh Dahan Community School’s support system that provides services and grants to families, teachers, and staff struggling with unforeseen challenges. If you or anyone you know would like to help support the race, contact Itael Toibman at aXRvaWJtYW4gfCBidGZpbG9oICEgb3Jn.